Oblong Books, Millerton, NY. Discovered through this post on Good Books and Good Wine. This place is an hour and a half north of me, which isn’t too bad, but when I drive up to that much to work three times a week, when the weekend comes around, I need a great deal of incentive to drive BACK upstate again. I think I may make an exception for Oblong books. They have a monthly (?) Hudson Valley YA society event which looks to be rather awesome with Stasia Ward Kehoe (Audition), Gretchen McNeil (Possess), Sheela Chari (Vanished), Rosanne Parry (Second Fiddle), and Jessica Martinez (Virtuosity) in attendance at the last one. This was not the same store the event took place at (there are two locations), but I still snagged a signed copy of Virtuosity, and saw a lot of other signed YA books. I seriously had to hold back. This looks like the place to go for newer YA. They sell new books but there’s an upstairs bargain section where books are 30%-50% off. Also this is in a very nice, sort of touristy part of town with a lot of other interesting shops. Rodgers Book Barn is a bookstore that is basically in someone’s barn. In the middle of nowhere. I discovered it because… you know, after randomly deciding we were going to stay in Great Barrington, MA the first night of our trip, I had to look for bookstores nearby. This one got awesome reviews from yelp: every single review was five stars. And I like a good adventure. My husband kept asking me if I was SURE I had the right address – (I did, it really is in the middle of nowhere), we got there 20 minutes to closing. Awesomely mazelike and full of books, this place mostly has general fiction and upstairs there are travel and children’s books, but the speculative fiction was only one shelf, and I saw no YA or romance. On the other hand, this is a used bookstore and the prices were *really cheap*. I found a copy of Boneshaker for $2.50. 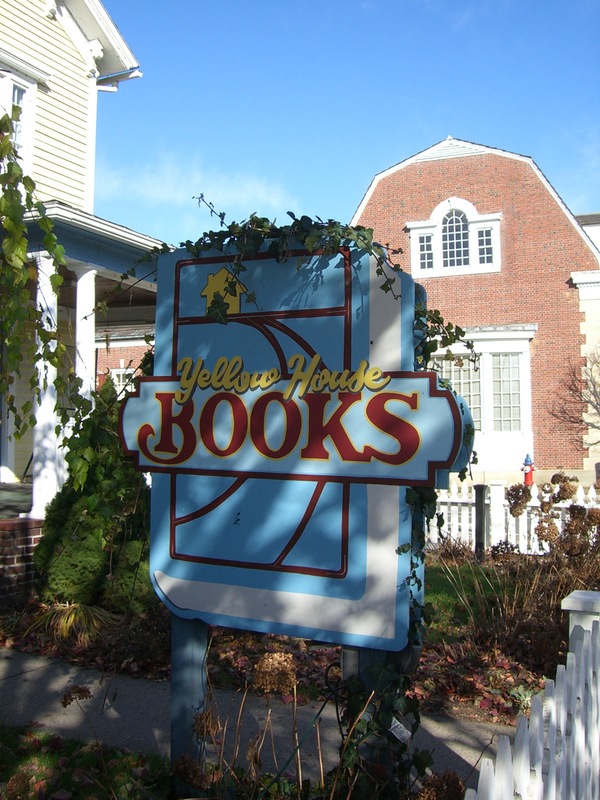 Yellow House Books in Great Barrington – this is another used bookstore and I found the selection here to be skewed to the older books. There were a lot of what looked to me like very old copies of classics in every genre (no romance or YA really though). It looked like the place to go if you were looking for an out of print, maybe hard -to-find book. As I was not (although I was tempted by some of the Tanith Lee books in the SF section), I didn’t really buy anything here. Like Oblong Books in Millerton, this was in a nice part of town with restaurants and specialty shops in close proximity. This entry was posted in book review and tagged bookstores by janicu. Bookmark the permalink. I’m working on my Finnikin review too! I’ll see if I can post that within the week. 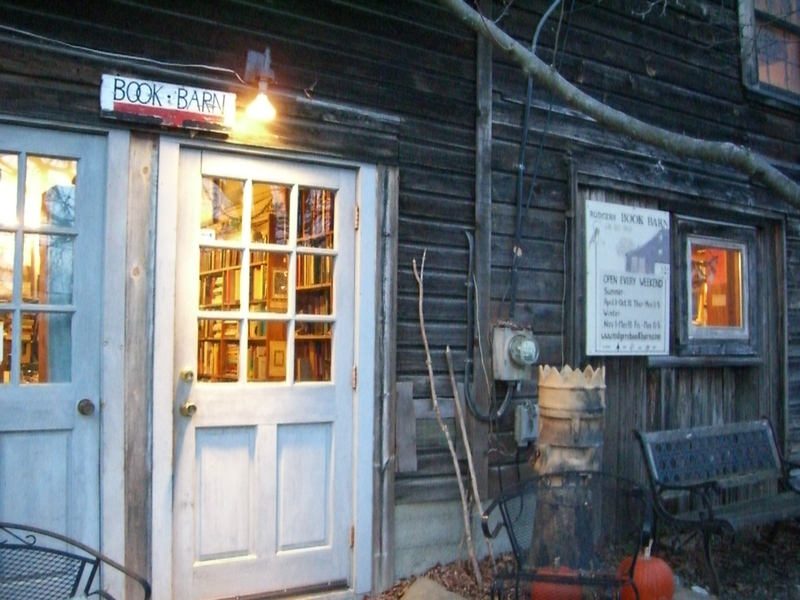 Book Barn looks like a quirky place – I’d love to check that out even if they don’t sell the kind of books that I read. But glad you’ve been able to drop by several bookstores. And yay for Lips Touch! I don’t like the paperback cover but as long as the illustrations are still included, I guess that’s okay. Looking forward to your review. Hope to get mine up this week too, but only half done I’d say. Yes to your own Book Barn, of course! Who would say no to that? I’m starting to think that maybe I should be a paperback girl. Only buy hardcovers for favorite authors or books that I end up loving because paperbacks are a lot cheaper. Yes, signed books and illustrated books are awesome. A signed Virtuosity? *eyes jealously* Ooh, Oblong. That would require some restraint. You’ve heard of this place? I live in NY and am the last to know. YES, so much restraint needed at Oblong. I saw signed copies of a few others but all authors that I had not tried so I thought it would be a gamble that I wasn’t sure I could take. Went with VIRTOUSITY because all my trusted rec-ers liked it. I LOVE Oblong Books. I mean sure, the books are expensive, but I love being able to support their YA events and having signed books is awesome. Also the other stores look adorable!! I agree, they are quite awesome. I wish I lived a bit closer, but I think 1.5 hours probably isn’t too bad to drive up on a Sunday for one of their YA events. I’ve been wanting to read the Siobhan Vivian book and Virtuosity. Damn book buying ban! I love book shops. I could spend hours in them just browsing. I’m back! And apparently missed this comment somehow! What a cool road trip! Thanks. I actually went to even *more* bookstores after this. It’s a compulsion. And the husband just encouraged it.